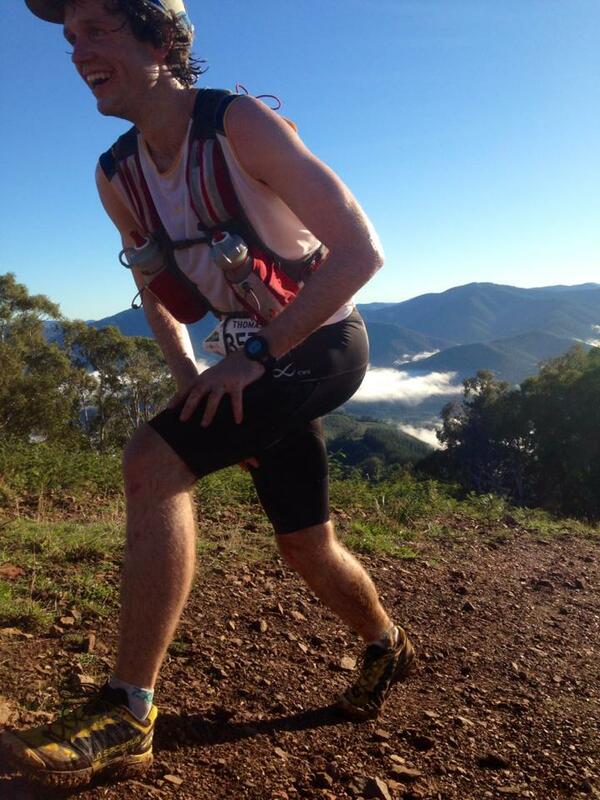 Caine Warburton (La Sportiva/Kokoda Spirit Racing/etc.) 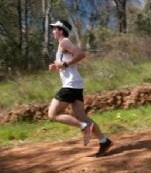 coming through as first Aus/NZ finisher in the 75km utlra! 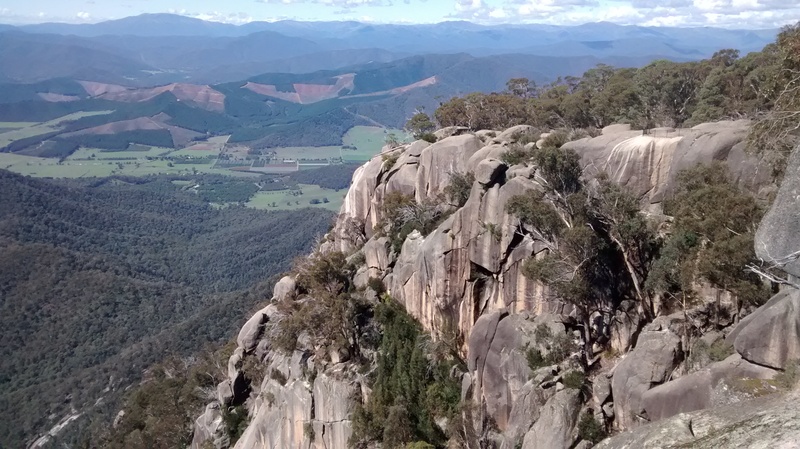 Australia’s first ever official skyrunning weekend did not disappoint. Maximum vertical with plenty of steep climbs/descents made for carnage on the day and plenty of DNFs. 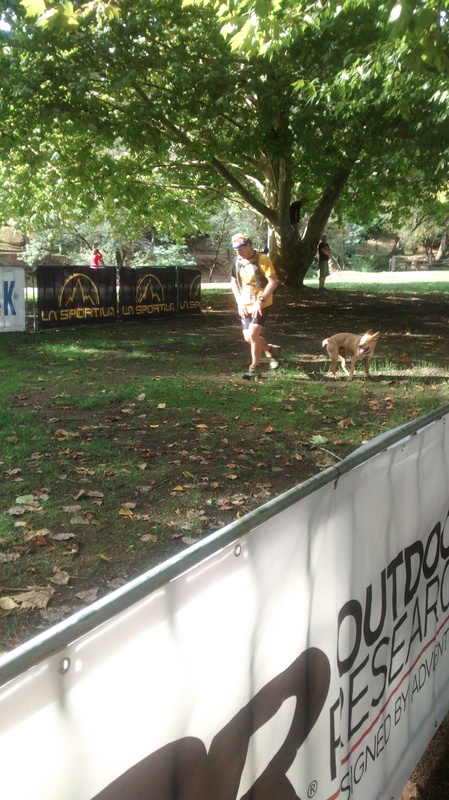 Damiano and I drove down from Canberra and arrived in Bright on Saturday just as Dakota Jones was finishing up with destroying the 75km ultra. As everyone who saw him on the weekend will tell you, he is a monster. There was a lot of confusion at the finish as talk spread of Ben Duffus and Blake Hose being withdrawn (kinda scary that these lads can push themselves so hard they can no longer stand up) and who was going to come in for 2nd place. 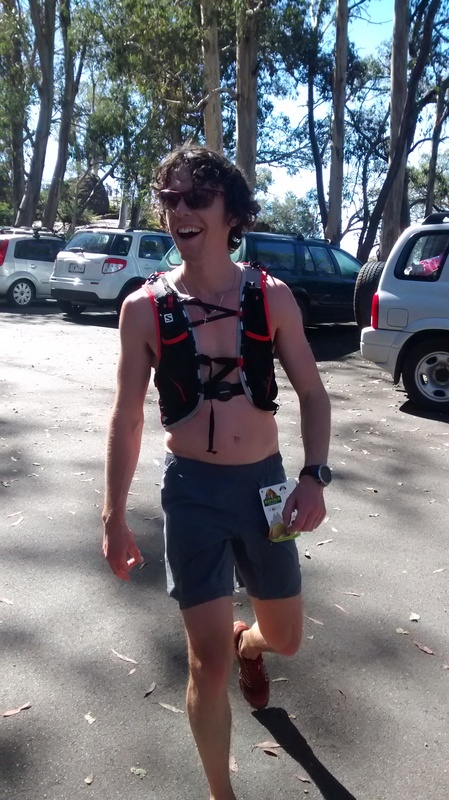 It was super exciting to see La Sportiva teammate Caine Warburton come in to win the trip to Europe as first Aus/NZ runner home. What we didn’t realise was how close a battle it had been, as Andrew Tuckey came over the line ~30secs later, and Grant Guise no more than a minute after that, exciting to watch! Had a chat to Izzy Bespalov who seemed remarkably composed and relaxed after smashing out the 75km and finishing 4th female! Props to anyone who finished, especially the people who finished in the dark and got bucketed on to boot! Clarke and ‘Cooba’ McClymont making it home! After watching the top 10 finish, we checked into the campground, setup our tent and headed to dinner at the pub. This was when it started pouring rain and we realised that the fly of our tent was still open (oops!). 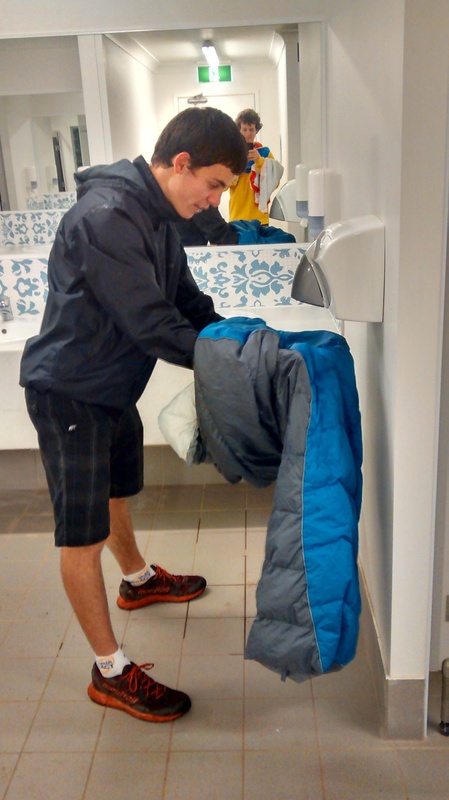 Luckily we had a few spare towels to dry the inside of the tent, and it turns out hand-driers are very effective at quickly drying sleeping bags and mats! Heading up Mystic I dropped off the back of this lead group, wary of pushing the pace too early (it was pretty convincing when every single ultra participant I spoke to advised starting conservatively as the course was brutal). The steep descent down Mick’s track was super sketchy and I didn’t really know what technique would work best, so basically tried to stick to the edges where there was a bit of grass to stop the mud from sliding around so much. The next checkpoint at the bottom of the Clear Spot climb was the first of many encounters with crazy cowbell ringing spectators. This was a really cool aspect of the weekend that added to the atmosphere and also provided a bit of information about how far ahead/behind you were of the people around you (based on the bells going crazy every time a runner goes past). The Clear Spot climb was about 2km of very steep hiking, and I started to pick up a couple of places against the people who could outrun me on the first climb – nobody was running this one! Next up on the ridiculous descent from Clear Spot was the Warner’s Wall track, where I had my first and only stack. Plonked my glute on a rock which hurt at the time but didn’t provide any lasting irritation. I was following Edwin Perry down here and I’m pretty sure his surfing skills came in handy as he slid quickly but smoothly down through the mud. There were a few km’s of easy downhill fire trail heading in to the next CP, where I saw JP setting up a shoe-change pit stop for Pierre-Francois Loos – exciting strategy using beefier studs for the slippery first half and lighter shoes for efficiency in the second half. JP said I was only 9mins behind John/Vajin so I thought that was pretty exciting, and it meant that there must be a few guys within reach of the 12 or so that were still ahead of me. Heading up Keating Ridge was hard work, as it was mostly run-able. I preferred the steep early climbs that everybody had to hike. I caught James Stewart through here, who had smashed the early climbs but informed me he was done for the day. The smooth rolling downhill was great, and it wasn’t long before I saw Clarke and Caine on the Buffalo Rd and cruised into the next checkpoint. I figured the Big Walk up Buffalo would take about 1.5hrs, and I was keen for some more hiking uphill and less running. Felt pretty good up here, overtook a couple more guys and I figured I should be into the top 10 by now. Just as I was running low on water, I hit the open rocky section with waterfalls and made use of this pure-ish water refill opportunity. At this point I was pretty content to defend my top 10 spot and cruise through to the finish, just when Chris Wight stormed past me and (figuratively) gave me a much needed kick up the posterior (thanks!). I attempted to cling on to him as we ran into the chalet carpark and started the 7km Chalwell Galleries loop. 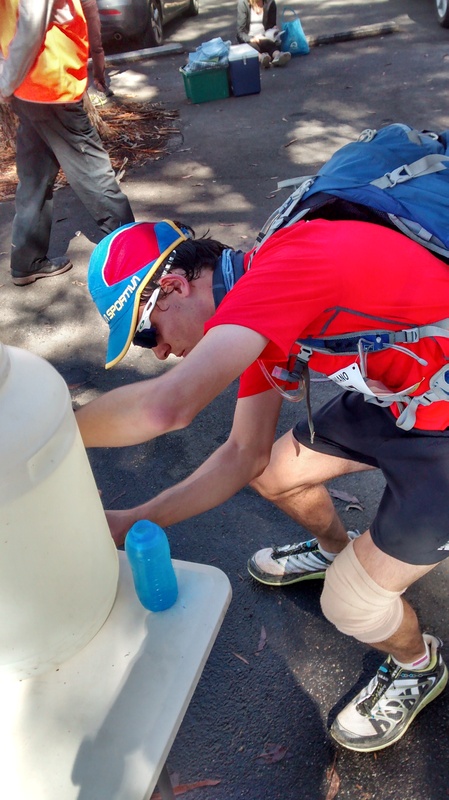 Damiano Luzzi filling up for the final 7km loop – he walked the whole race to avoid aggravating his ITB (because obviously withdrawing from the race was never an option). In my attempt to chase Chris, he dragged me past two more guys who seemed pretty keen to see the finish line soon (including Joel Fitzgerald, who smashed me at Mt Buller earlier in the year). On the little out and back section of fire trail, I saw Vajin and Dave Byrne running side by side, briefly wondered if they were heading for a sprint finish or had some kind of pact going on. 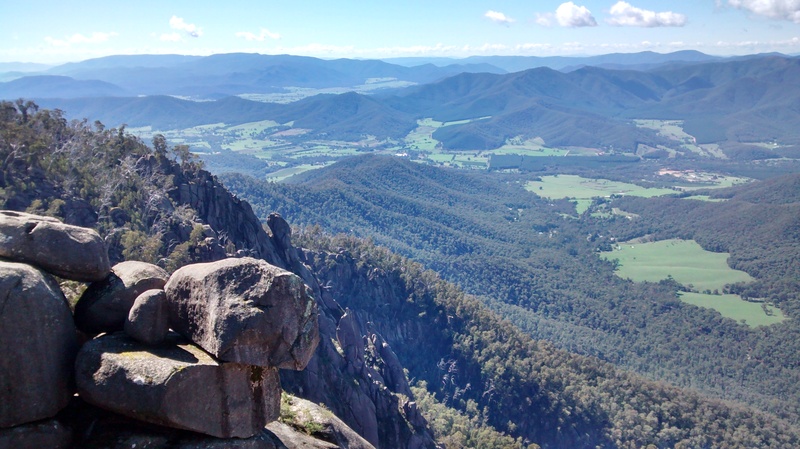 We got the Chalwell Galleries section, and despite Moe and Caine’s advice to ‘go down as soon as possible’ I ended up on top of the rocks gazing down on a 3 metre drop, before realising that we were supposed to slither through the tiny gap a metre or so back. I felt like I pushed pretty hard through to the finish – didn’t see Chris again but I also stayed away from the guys behind me. Crossed the line in 4:48 and 7th place, meeting my (vague and un-researched) targets of sub-5:00 and top 10. Turns out I also snagged the 18-29 age category win thanks to all the guys who beat me being 30+, woohoo! It turned out there was a bit of drama in the front of the race. John Winsbury had led for a long time, until halfway up the Big Walk when he started cramping. Vajin and Dave took the lead to duke it out, until they hit some hikers at Chalwell Galleries which clogged up their route and brought them back together, so they decided to finish together. I thought the course might be too muddy for my Helios shoes but they seemed to work pretty bloody well for John and Vajin! I’m super keen to give the ultra a crack next year. 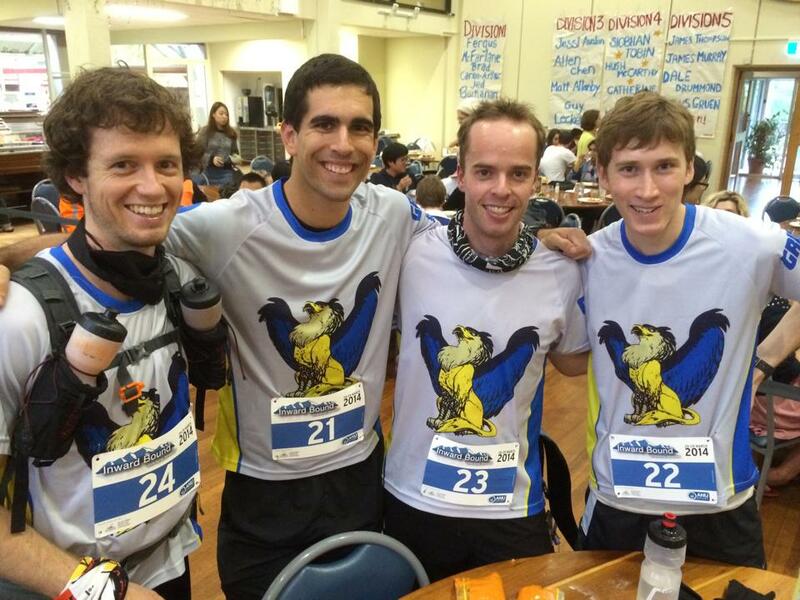 The course was challenging and the atmosphere was awesome – I hope we get to see more Skyrunning in Aus! Next up is Wilson’s Prom on the 3rd of May. 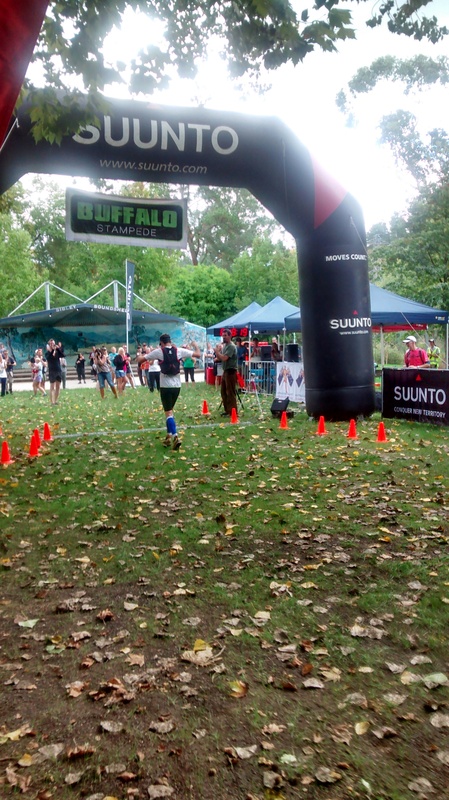 Sky marathon results, Sky ultra results. La Sportiva Bushido coming soon to Aus! ANU runs an annual competition between the residential colleges, where teams of 4 runners are blindfolded, driven around on buses then dumped in the bush somewhere. We take maps and compasses, figure out where we are (hopefully), then race 30-100km on foot to the “endpoint” (somewhere else in the bush). There are 7 divisions with 8 or 9 teams in each div, totalling around 250 runners plus heaps of volunteers and support, so it’s a logistical nightmare and pretty epic event. This event is student run, so mad props to the committee for getting a successful IB done in 2014. The division 1 course seemed physically easy but navigationally difficult relative to past years. I think our route was a bit under 80km with about 2000m elevation gain. You can check out our route and all the other teams/divisions on the tracker website (we are Griffin Div 1). We started about 10km NW of Wee Jasper near a quarry, then finished at Cotter Dam. I’ve made a little video using some footage from the last few hours of the race (figured it was ok to mess around with the camera once we were no longer busting our guts to race to the finish line). Friday 1700 – scrutineering. Basically this is where we get our gear checked to ensure we have all the compulsory safety equipment and accessories required to make it through the race safely. One of the requirements is 200mL sunscreen for the team. We had a 110mL tube and an 85mL tube… awkward. The scrutineers were eventually satisfied after we assured them that every member of our 4 man team had pre-applied 1.25mL to our skin. Friday 1800 – blindfolds on! We are blindfolded and board the buses that will be our home for the next few hours. We had mini buses this year which was more comfortable than usual and reduced the likelihood of rubbish banter with a big crowd of people. We were given a special envelope with an “extra compulsory map that you will need for the course tonight” and the speculation began. It ended up being a decoy map of Bateman’s Bay, just to mess with our heads. Friday 2300 – blindfolds off! 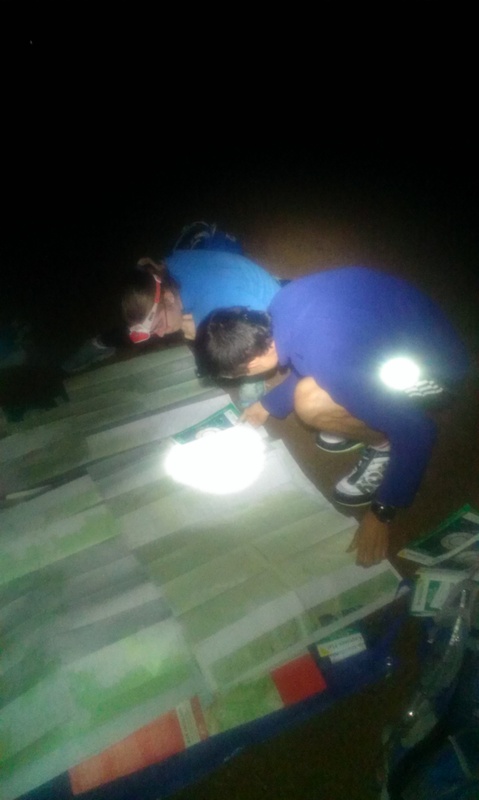 We get to see our course information for the first time and start looking for clues. The way private property works is that we can’t trespass, unless the property is listed on a “whitelist” of places where the committee has sought pre-approval from landholders. We were skimming through the whitelist and noticed “Brazier’s Mum’s house” on there – good one IB committee, that’s in Belconnen so not really going to help us! We plotted the endpoint coordinates – Cotter Dam! However, the drop location was pretty tough and we couldn’t find many reliable clues to reveal where we were. We did find a mailbox for a homestead and treated this as our number 1 clue. My team headed off second behind Ursies (but in the wrong direction), hit a major road, realised where we were, and ran back through the starting point an hour later. It turned out that the mailbox wasn’t located AT the homestead, rather at the start of a 10km road that leads to the homestead… oops! This was a disappointing mistake and self-imposed handicap, but in hindsight I would probably make the same decision with that information – hopefully just realise the error a bit quicker next time. Saturday 0000 – So we started in 9th position and began overtaking a few teams who had started in the right direction but were now trying to locate themselves exactly in the Wee Jasper quarry/forest. I guess there was a silver lining to our bad start – at least we could pinpoint our location. This was really important as there was really only one legitimate path to the east – all teams had to hit a small branch of the Hume + Hovell walking track. This was a fun technical downhill track to run in the wee hours of the morning with heavy packs! Saturday 0300 – we got to the town of Wee Jasper in equal 3rd with Fenner (safe to say we have a little bit of a personal rivalry with them), while B+G and Johns were both a few hours ahead duking it out for 1st. Fenner decided to try a shortcut through the mountains, while we took the slightly longer but flatter road around (that should allow for faster running). I thought this was a cool experiment in pacing/route choice but it was a lot of effort to go to just to see the difference between the two routes! 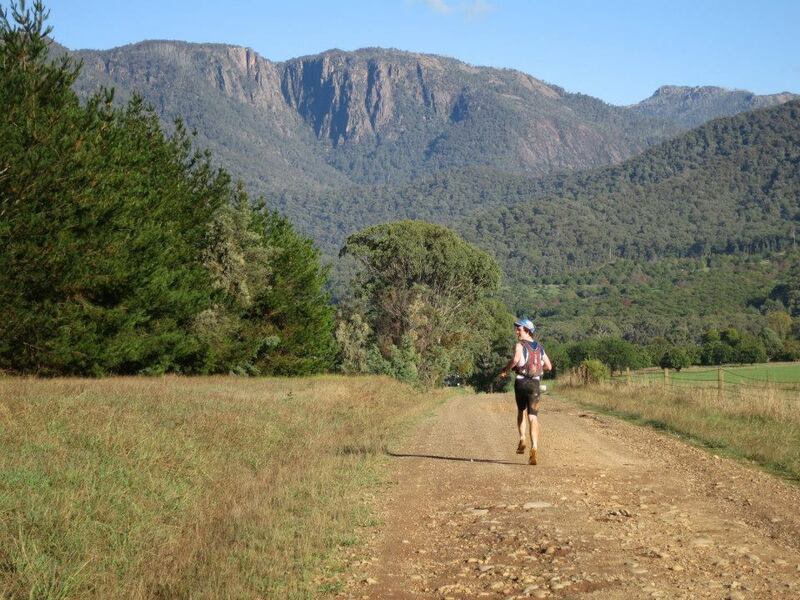 Saturday 0500 – we were grinding out a pretty solid pace along Doctors Flat Rd for the first 50km or so, heading past Mountain Trails horse riding – one of our guys remembered this place from his high school adventures! I reckon this is the hardest time of the race as everyone feels a bit cold and sleepy. We just had to keep kicking on until the sun came up, that’s always a solid boost to morale. Saturday 0700 – we had pushed pretty hard along Doctors Flat Rd and had about 25km to go, when some of the boys started cramping up and having a less than lovely time. So it kinda stopped being a race and became more of a “let’s survive and get to the finish”. However, the sun was coming up and our circadian rhythms were telling our brains to wake up, which helps a lot! At this point we got the gopro out and started doing some video logs, now that we were doing less try-hard racing. 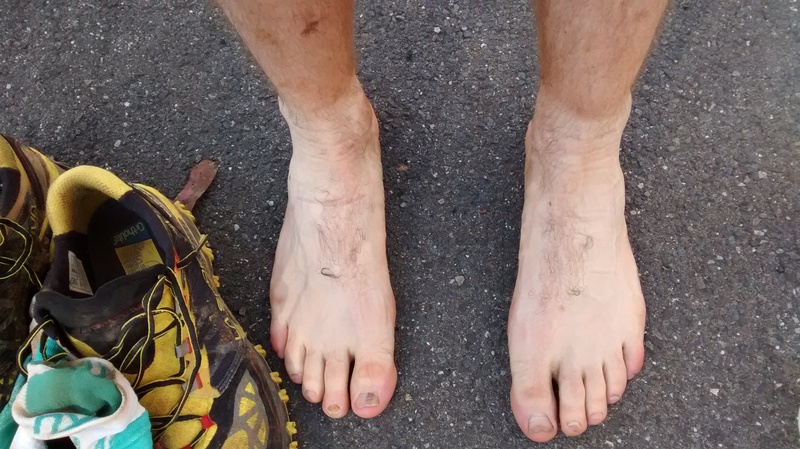 Saturday 1100 – I got distracted doing videos and accidentally turned off early before Vanity’s Crossing over the final river, so we had to do a little bush bash for 200m or so (the cramp guys hated me for this). A painful little 5km shuffle from there to endpoint and we finished about 12:30pm, coming in 4th for division 1 (about 40mins behind Fenner, bummer!). B+G had finished around 10:30am, outrunning Johns comfortably in the end. Full results on the IB website. Some teams didn’t finish until about 8pm on Saturday night, which is pretty crazy after being awake since Friday morning. It was generally a successful event though, with only a few teams out of around 60 having to pull out/get picked up in cars. 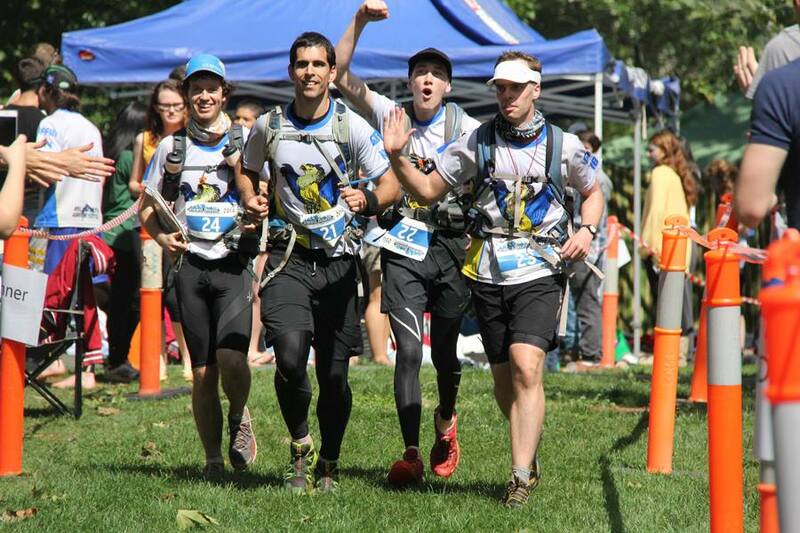 There were some crazy stories floating around when we had our debrief the next day – it’s amazing to hear about some people finishing the event who sound like they had no idea what was going on the whole way through. If you ever have the chance to be involved with Inward Bound – it’s a unique and incredible experience. I’ll be back again next year if they’ll have me. Gear: La Sportiva Helios – lightweight for efficiency and moderate grip/cushioning suitable for fire trails, single track or roads (you never know exactly what surface you will be running on in IB). I missed my little 12L Ultimate Direction race vest – instead had to use a 30L hiking pack to fit all the maps and compulsory gear, so much bulk! Conditions were perfect so most of the warm/dry gear stayed rolled up in the bottom of my pack. Nutrition: Roughly every hour – 500mL water plus 60g home made powder mix (80% maltodextrin, 20% soy protein isolate, pinch electrolytes/flavouring). Some LCMs for morale and refills coming from dirty paddock/creek water treated with Aquatabs! Next up is the Buffalo Stampede, this weekend! Not ideal for my racing calendar. I feel pretty good physically, but I’ve dropped from the 75km to the marathon – mentally I feel like it will be difficult to get psyched up again so soon, but we’ll see how it goes – sure to be fun regardless!